I started this podcast in the summer of 2016. I just had completed my book Hacking Engagement. The podcast was meant to supplement the book. 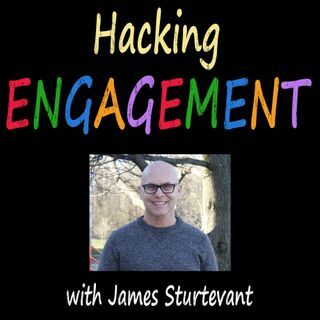 There are 50 hacks in Hacking Engagement. My objective in 2016 was to produce 50 episodes. It seemed like climbing a mountain. It was hard to fathom producing 50 episodes...and yet I did. I had so much fun that I went ahead and produced 100! This episode is a celebration of this achievement. I interview Kevin Ellinwood. Kevin Ellinwood. Kevin, ... Más informaciones like me, is completing his 33rd year in the classroom. Please enjoy this show as we reflect upon 33 glorious years amongst thousands of young people. No episode template...just listen, enjoy, and thanks so much for listening!